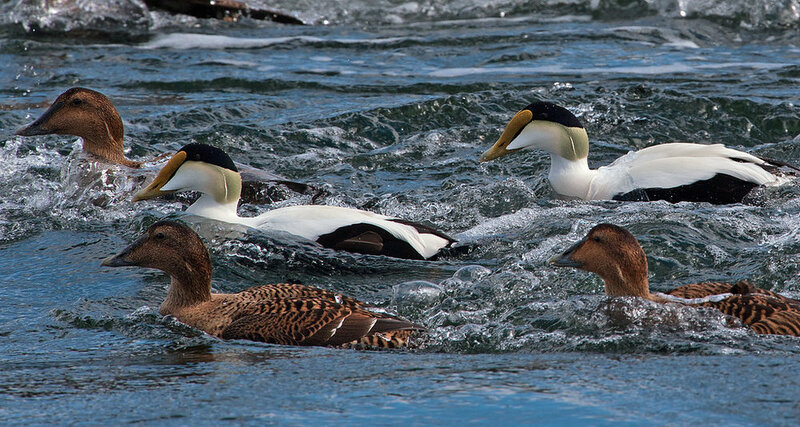 The “Eider Frenzy” below happened yesterday at Blue Hill Falls. 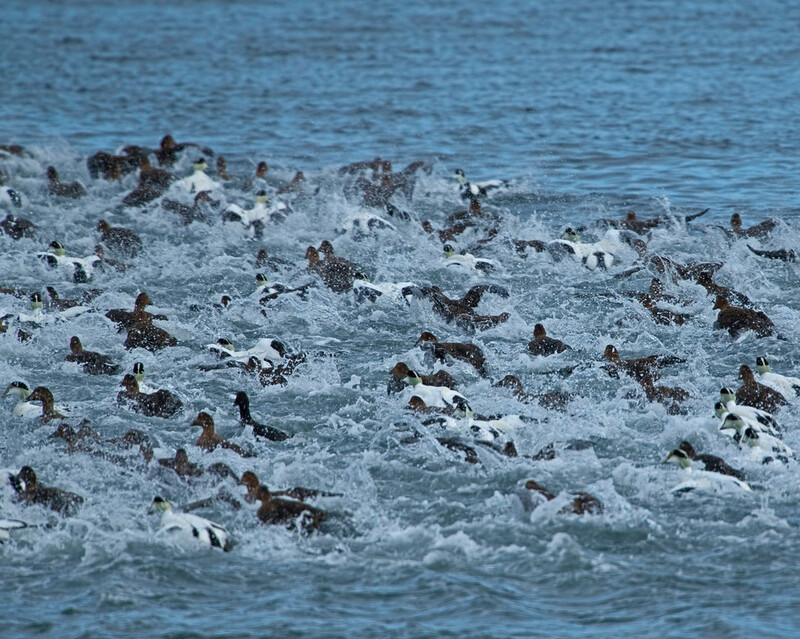 When a danger signal is given, the Eiders swarm out to deeper water, churning the Bay into a frothy mist as they go. Perhaps it’s a way of making it difficult for eagles or hunters to get a bead on an individual bird. Hundreds of Common Eiders, our largest native ducks, spend their winters in a closely-huddled “paddling” in Blue Hill Bay near the Falls. The swift current there prevents freezing and the shallow water allows easy access to tasty mollusks and crustaceans. They’re strong flyers and can attain speeds of up to 70 miles per hour.